Quirky and quaint at the same time. 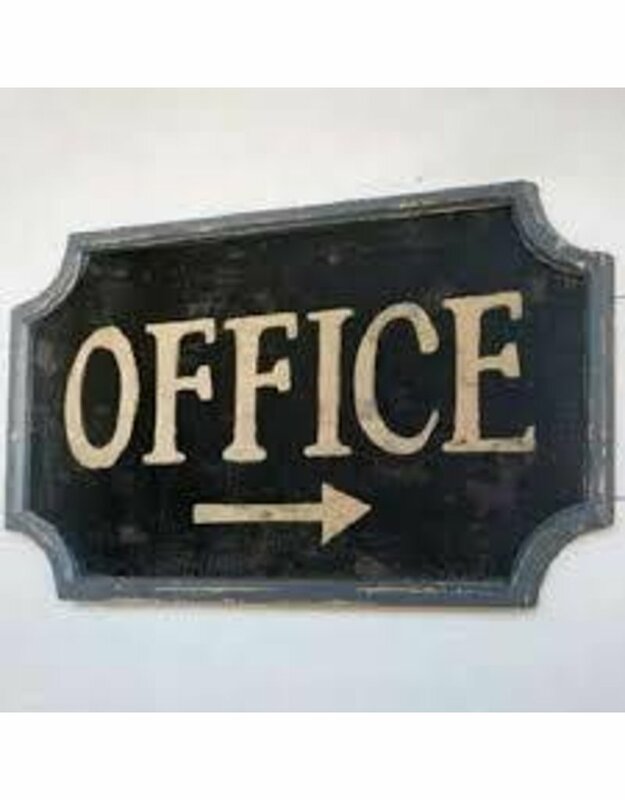 Rustic metal self-framed sign that points the way to the managerial person. 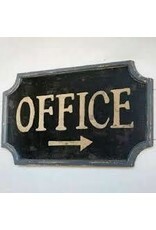 Fun for a retail establishment or a homeowner with a sense of humor.